Located in the village of Crail, Kalliope House B&B offers three double en-suite guest bedrooms with: patio doors, sea views and shared access to adjacent guest lounge and leisure suite offering sauna and indoor swimming pool. Wake up and go to bed to a new horizon everyday in the comfort of one of our en-suite sea view rooms. 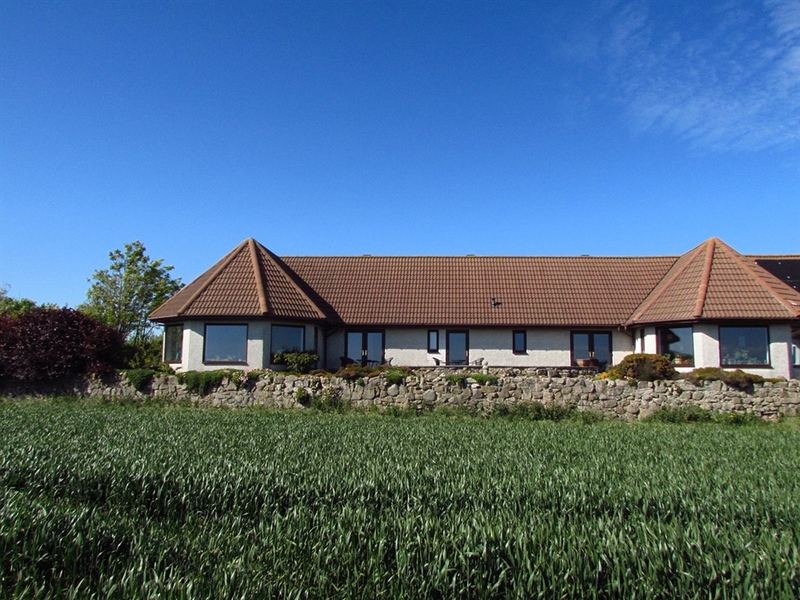 Built on top of an old farm house, and located toward the Ness of Fife, natural wildlife reserve land and farm land, Kalliope House B&B benefits from panoramic uninterrupted views throughout the house. Facilities include indoor leisure suite with ten meter heated swimming pool, sauna and wet room, large dining room, sun deck and sun lounge. Set within nearly an acre of land our garden has a large pond, orchard, vegetable plots and lawn. So close to one of Scotland’s great bird migration paths our pond and fruit trees attract all manner of beautiful birds and wildlife throughout the year.